Sounds like great vacation reading. I don't think I knew that Matisse designed textiles! Thanks! I'll add that to my reading list... close to the top! It is an interesting book. 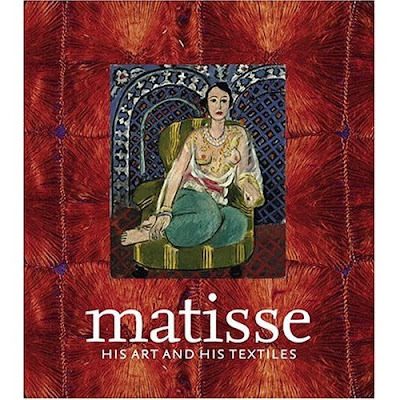 Actually he collected textiles, so the book shows the influence of his collection in his art. 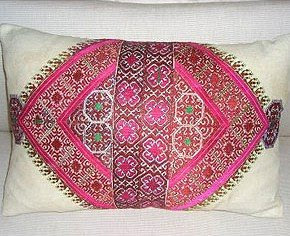 I love the idea of repurposing textiles on pillows. Another wonderful book to read! I adore the Matisse Museum in Nice. His love for textiles as well as chairs inspired me so much. If you have the opportunity to go, please do! 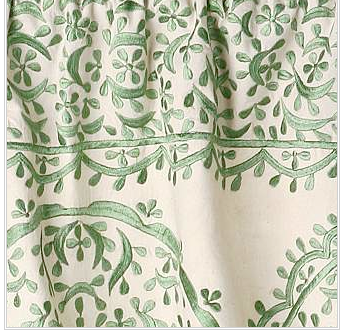 What's old is new again through fresh eyes especially with textiles! Great post! The Matisse and textiles exhibition was stunning ~ the Met had some extraordinary loans. The title appealed to me, I am very much in re-using, re-discovering. Loving Matisse so much I will certainly read the book. Unfortunately the Met is not on my plans. love your blog (huge fan) and this post! 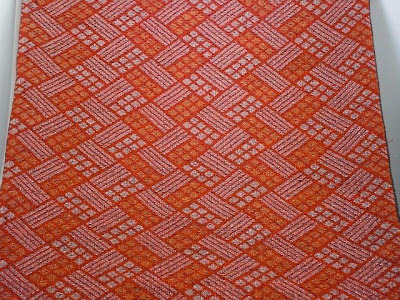 the basket-weave looking "japanese" textile is great! please check out our blog and let us know what you think! I just came across your blog and was excited to see this post in particular since I live in Morocco! I was just shopping in the medina a couple weeks ago and asked to see some of the vintage embroidery. I don't know where the store owner ran off to, but eventually he came back with several beautiful pieces. My favorite was the deep eggplant embroidery on crisp white. He warned me that they were much more expensive than the new tablecloths (which are usually about $40) and he was right. Of course I like the most expensive at $250. It was a long tablecloth and I couldn't think of how I would use it, but what a perfect idea to use it as pillows! I have to admit, though, that I would have a very hard time cutting into it! 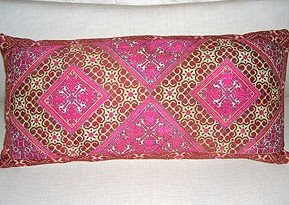 They had others that were quite stained and I think turning those into pillows would be pure genius! Well, anyways! Thanks for sharing your discovery and best wishes from Morocco! Sounds like you found something great. I really like how Windsor used her bedspread on a sofa (as upholstery). Most all of the design still really shows. Thanks for sharing!